Music courses are divided into several categories: Music History and Literature, Music Technology, Music Theory, and Music Performance. Music History and Literature course offerings will be found under the 4 letter code of MUHL in the course listings. An introductory level course that follows a“great books” approach. For the non major. A study of musical works that mirror the society that produced them. The topics chosen for study will include at least two centuries and two continents. For the non major. A historical survey of opera that focuses on an examination of the roles of women and their social and economic opportunities. A course investigating the roles of music, its distinguishing features, and performance traditions in eight to 10 geographic regions to appreciate how it differs from a Western perspective. A study of the developments in American Music provided by America’s various ethnicities that focus on genre, composer, and/or era. An exploration of chiefly vocal repertories focusing on genre, composer, and/or era. An exploration of chiefly instrumental repertories focusing on genre, composer, and/or era. A biographical and analytical study of Wolfgang Amadeus Mozart and his music. Works from all genres are included. Prerequisite: MUTH 191. A study of music history from its beginnings through the 17th century. Analysis and research. A biographical and analytical study, pertaining to Ludwig van Beethoven and his music. The study of the development of jazz, ragtime, blues, Dixieland, boogie-woogie, and later styles, which evolved in the genre. Prerequisites: MUHL 275. A study of music history from the 17th century through the time of Beethoven. Analysis and research. Studies of a topic in music history or literature. Advanced study under the direction of a music department faculty member. Project required. Departmental permission required. 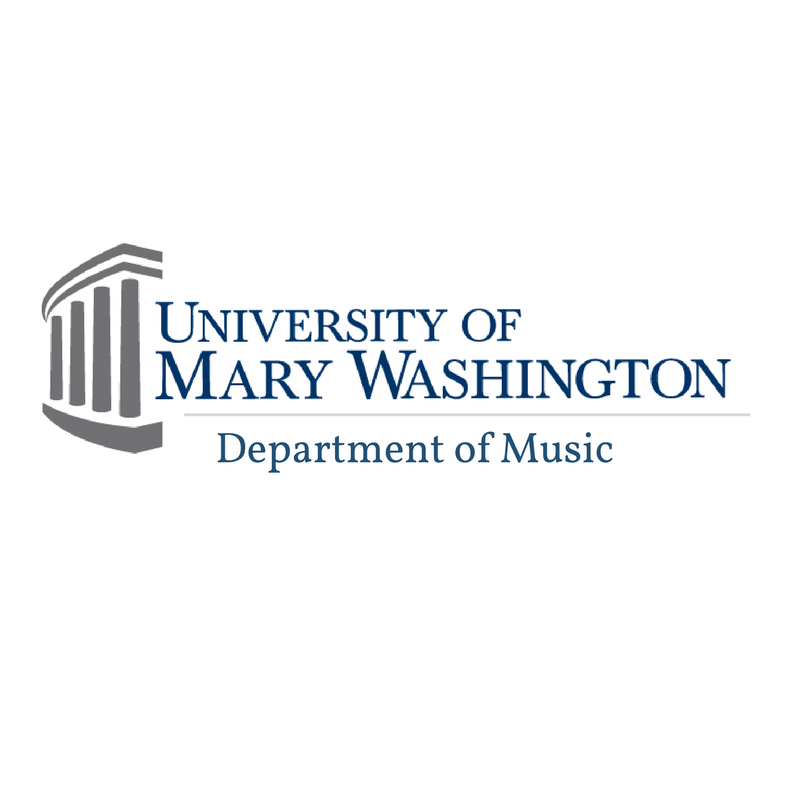 Supervised off-campus work developed in consultation with the Department of Music and the off-campus agency. Departmental permission required. Music Theory course offerings will be found under the 4 letter code of MUTH in the course listings. A conceptual explanation of basic music vocabulary and sound resources–rhythm, meter, modes, scales, clefs, intervals, notation, acoustics–with musical examples. tonality, figured bass, 7th chords, cadence formula. Includes principles of voice-leading and harmonic progression. Analysis emphasized. Co-requisite: MUTH 191. Harmonic and melodic Dictation in coordination with MUTH 191. Sight-singing, keyboard applications, basic conducting, beginning improvisational techniques. Prerequisite: MUTH 191 and 192. Co-requisite: MUTH 292. Chromatic Music Theory of the 18th and 19th Centuries. Harmonic syntax and structure including altered chords, missed modes, advanced tonality and modulation, small forms. Prerequisite: MUTH 191 and 192. Co-requisite: MUTH 291. Continued harmonic and melodic dictation in coordination with MUTH 291. Sight-singing, keyboard applications, basic conducting, beginning improvisational techniques. Prerequisite: MUTH 291. Introduction to the principles of counterpoint as exemplified in the music of the Renaissance. Introduction to larger musical forms. Prerequisite: MUTH 291, 292. A study of techniques of instrumental scoring considered historically and creatively. Project required. Prerequisite MUTH 291 and 292. Co-requisite: MUTH 392. Contemporary music theory. Theoretical developments and analytical techniques of the 20th and 21st Centuries. Prerequisite: MUTH 291 and 292. Co-requisite: MUTH 391. Development and application of aural and written skills pertaining to modern era. Includes continuations of sight-singing, dictation, keyboard, conducting and improvisational techniques. Studies of a topic in Music Theory. Prerequisite: MUTH 291 and 292. A study of compositional techniques focusing on selected style periods, featuring both large and small models. Creative project required. Prerequisite: MUHL 376 and MUTH 391. Project required, presenting research from historical and theoretical perspectives. Music Technology course offerings will be found under the 4 letter code of MUTC in the course listings. An introduction to notational tools, sound reinforcement, recording, sequencing, video capture/editing and music specific web design and social media. An application of basic rhythm, meter, melody, and chords through computer controlled sound production systems and MIDI (musical instrument digital interface), which enables the student to produce original compositions. Fundamental of acoustics audio recording for all types of instruments and ensembles including microphone selection and placement, acoustical treatments, professional practices and applications in related fields. Prerequisite: MUTC 320. Production techniques in a variety of styles with an exploration of the roles that production, artists, and finances play in the process from conception to finished recording. An emphasis on historical developments, current status, physical concepts, language, and compositional techniques as they apply to synthesized music. Project required. Studies of a topic of music technology. Music Performance course offerings will be found under the 4 letter code of MUPR in the course listings. Class instruction through the intermediate performance level, emphasizing fundamentals of vocal technique through performance, as preparation for private voice study. Placement audition. Corequisite: Private Voice (MUPR 301). A comprehensive study of diction applying the standard international phonetic alphabet to the Italian and German (MUPR 203) and English and French (MUPR 204) languages. Class instruction for beginners through the intermediate level. MUPR 205 and 206 deal with fundamental performance techniques. The course presumes the ability to read music. MUPR 207 emphasizes musical expression and preparation for private piano study. Placement audition. Beginning group study in performance techniques of woodwind instruments. Recommended for music majors seeking teaching certification in the instrumental area and for students interested in composition. Beginning group study in performance techniques of guitar. Recommended for students with no prior music reading and performing experience. Class Guitar I is an introduction to playing chords, reading music, interpreting charts, and developing basic music skills needed to understand various published methods on learning guitar. Prerequisite: Music Performance 215. Intermediate group study in more involved principles and techniques to prepare for private lesson study and ensembles. Beginning group study in performance techniques of brass instruments. Recommended for music majors seeking teaching certification in the instrumental area and for students interested in composition. Beginning group study in performance techniques of percussion instruments. Recommended for music majors seeking teaching certification in the instrumental area and for students interested in composition. Beginning group study in performance techniques of string instruments. Recommended for music majors seeking teaching certification in the instrumental area and for students interested in composition. Registration for private instruction is contingent upon a successful audition. All 300-level courses consist of one half-hour lesson per week for one credit. The 400-level courses consist of a one-hour lesson per week for two credits. Both are available by permission from the department chairperson. Each course may be repeated for additional credit at the discretion of the instructor. A lesson fee applies for all students. Treble voices performing representative repertoire of all periods of music. Open by audition. Mixed voices performing representative repertoire of all periods of music. Open by audition. In cooperation with local community musicians. Mixed voices performing representative repertoire of all periods of music. Open by audition. Opportunity to study and perform selected repertoire representative of the literature written for orchestra. Open by audition. In cooperation with local community musicians. Opportunity to study and perform specialized repertoire. Open by audition. Opportunity to study and perform specialized repertoire in the jazz genre. Open by audition. Opportunity to study and perform specialized repertoire for flute choir. Open by audition. Opportunity to study and perform specialized brass repertoire. Open by audition. Opportunity to study and perform selected repertoire representative of the literature written for band. Open by audition. Opportunity to study and perform specialized string repertoire. Open by audition. Prerequisite: MUPR 216. Opportunity to study and perform specialized guitar repertoire. Open by audition. Prerequisite: MUTH 291, 292. The principles and techniques of choral conducting, including score reading and analysis, program planning, and workshop experience. Prerequisite: MUTH 291, 292. The principles and techniques of instrumental conducting, including score reading and analysis, program planning, and workshop experience. Opportunity to study and perform scenes from the operatic repertoire. Open by audition. First summer session only. Studies of a topic in music performance.